← What do ‘Horn OK Please’ and ‘Mutual Funds are subject to Market Risks’ have in common? Avada Kedavra said Voldemort for the last time yesterday, and in the final battle, when the curse rebounded, it signified the last victory of Harry over his evil bete noire. The audience applauded heartily for the final time, and as my son and I left the cinema hall, he was left with an empty feeling that this was indeed the end. My son was just born when the first hints of Potter-mania hit the world, and to that extent, we have been late entrants into the Potter club – only perhaps for a year or so. But in that year, Harry, Ron and Hermoine along with Dumbledore, Snape and the entire professor-hood of Hogwarts, plus Voldemort and his Death-eaters had well and truly taken over our household. In a relatively short period of a year, reading all the seven books one by one, some of them twice, and then watching each of the first seven moves at least twice, my son had become a walking encyclopedia on Potter and his gang. And doing what only a 10 year old Potter fan can do, he had successfully converted his parents, both his sets of grand parents and perhaps most of his friends in to die hard Potter fans too. 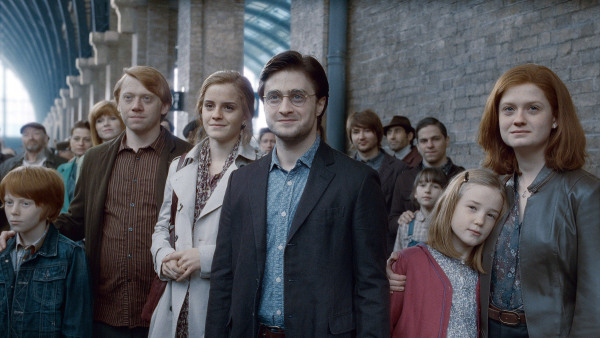 It was then that I realised how much of a void the end of this last movie is likely to create in a generation of children (and their parents) that grew up on Harry Potter. Right from mesmerising children with the initiation in the early couple of movies (which most people watched agape) to almost frightening their parents in the last two Deathly Hallows, the rivalry of good and evil in a world of magic cast its spell on a generation of children. The last few months our home has been full of children making wands from broken twigs playing ‘Expelliarmus’ with each other, riding on imaginary broomsticks playing quidditch with their snitches taking roles of Harry, Ron and Draco, and calling their parents ‘Muggles’. As the early playfulness of the three friends quickly matured into an intense plot of rivalry, the games suitably changed with the early characters of schoolmates being replaced with Dumbledore, Snape and Voldemort and his deatheaters. For mere ‘muggles’ who have not quite experienced this magic, it has always been a puzzle what the fuss is all about. But for those who have had this potion, it is always a case of the charms taking over. Finally it all ends – as far as the books and the movies are concerned. But it will continue to stay with this generation forever. Perhaps by some spell of magic, it may get a rebirth too. So till we meet again on platform number 9 and a 3/4, this is indeed the end of magic as we know it.